After plenty of nutrients & a good night’s sleep, your kids will be beaming! Our Magic Sprinkles is a powerhouse shaker filled with real organic living foods giving lots of essential fatty acids, vitamin C and minerals like magnesium and zinc. Kids love Magic Sprinkles! These products contain wild crafted murunga (kakadu plum), a traditional aboriginal food which contains the highest source of Vitamin C in any fruit in the world. Sprinkle around like confetti on everything you eat to add a powerful nutritional hit every day! Our fave suggestions: Add some magic to porridge or cereal, sprinkle on popcorn or add to bolognaise. Yum yum! Organic Chia Seeds, Organic Coconut, Sunflower Meal, Organic Pumpkin Seeds, Organic Blackberry Powder, Organic Flaxseed, Organic Acai Berry, Organic Cranberry Powder, Organic Goji Berry, Mango Powder, Organic Strawberry Powder, Organic Psyllium Husk, Organic Camu Camu, Organic Maqui Powder, Organic Vanilla Bean, Organic Kakadu Plum, Organic Stevia, Organic Monk Fruit. Rub in small amounts on wrists, temples, & feet to bring beautiful dreams and a beautiful night’s sleep. For children 6+ months. What’s in Sleepy Head Balm? Organic ingredients of: coconut oil, beeswax, lanolin, castor oil, lavender oil, lanolin alcohol, carnauba wax, sandalwood oil, cedarwood oil, wild crafted murunga (kakadu plum), magnesium chloride, bach flower remedies: white chestnut, clematis, cherry plum, rock rose, love & hugs. 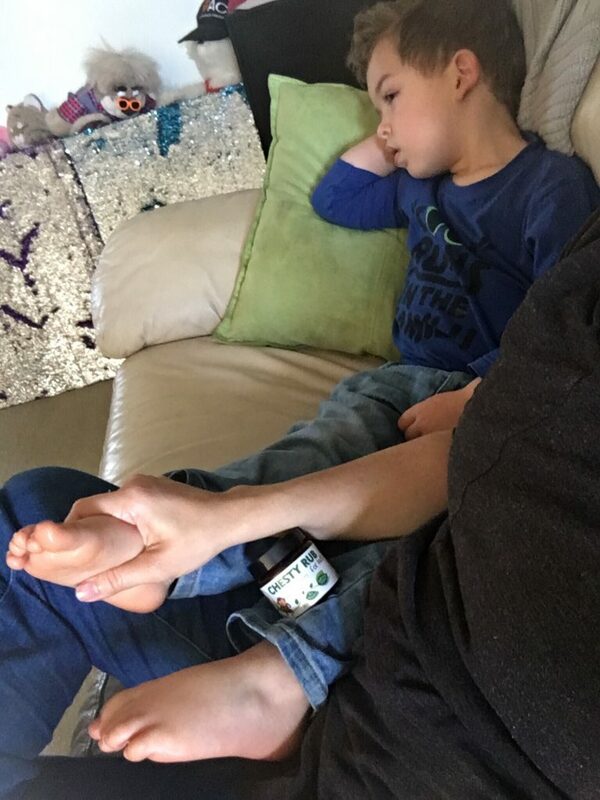 My kids love the sleepy head balm helps them relax and smells beautiful . Before bed, until I bought this ! He calms down and dozes off without a fight! This is part of our new bedtime routine, so much so that even mummy uses it now for a restful sleep. Thank you 123 nourish me ! love these products, the Magic Sprinkles are amazing my children love them , they think they are having a sprinkle sandwich. The sleepy Balm is awesome the smell, its lovely the kids can’t wait until night time so i can give it to them. Absolutely love both these products. I am happy knowing that my little fussy eater is still getting her nutrients now that I add this to her wheatbix in the mornings. At night I rub this on her and it’s become our special night time ritual!! I love that I can add the sprinkles to anything and the kids are none the wiser. I love it and love seeing how excited my kids get when they get to sprinkle magic on their food!! I decided to try magic sprinkles due to the fact that my kids think “pasta is life”… I love that I can use them in breakfast or dinners or even just in our yogurt… fantastic!!!! Look forward to trying the chesty rub! Magic Sprinkles are the biggest hit in our house . Thanks 123 nourish me ! My Daughter loves these sprinkles!! They go in their cereal, this cookies I make. I love knowing my kids are getting extra goodness in them!! My child is very picky, I have been using Magic Sprinkles. It’s great cause she is getting all the goodness she needs. Our ASD grandson has severe eating issues and finding vitamins/nutrients that are flavourless and powdery has been very difficult. Magic sprinkles go easily into his smooth foods and he doesn’t notice they are there. An absolute godsend to our family. Thanks so much for your products. My girls love their sprinkles! Perfect addition to breakfast – sprinkled on porridge or eggs. Best product ever, my kids are so fussy and wont eat much, but they love magic sprinkes and ask for it all the time. They call it yummy yummy Fairy sprinkles. Love this product so much! Healthy, nutritious and my kids LOVE adding some ‘magic’ to their meals. Thank you! My daughter LOVES her Magic Sprinkles! She loves to dip her blueberries and raspberries in the sprinkles and enjoys them on coconut yoghurt too! Will definitely be buying more in the future. Can’t wait until they are made gluten free so I’m able to enjoy them too (I have CD). I have just started using it – the kids loved it. What I was impressed with was the packaging. It was clearly hand-packed and very personal. The invoice had a sticker with my name. Goes to show the amount of care put into the product. We love our ‘monkey’ sprinkles. My little one loves shaking them on top of all his meals. It’s nice knowing he’s getting an additional boost! And it came so beautifully and environmentally packaged. Hands down a well deserved 5 stars here! My son is a picky eater at home and after trying a small amount on a spoon first (and this mumma holding her breath!) he asked for more! So here he is sprinkling as much as he can onto some buttered bread because he wanted more! More! Thanks 123 Nourish Me. Super idea! This is a great alternative to hundreds and thousands! The kids think it is an amazing treat as they are “magic” sprinkles! I’ve even given some to my Mum so the kids can have this special treat there! So far amazing!! They are the easiest thing to add into most meals! Love knowing extra nutrients are going into our little one! I bought 3 jars of Magic Sprinkles but I am giving them to my grandchildren for Christmas so they haven’t been used yet. But I am 100% sure that the kids will love them because they are all trying to eat healthy food and having something that is fun and so pretty that they can actually eat will have them very excited. Thank you 123 Nourish Me for making such healthy alternatives available. Kids love using these sprinkles on all of their food! Easy way to add more nutrients. I’ve just purchased my second jar!! Love love love these magic sprinkles!! I’ve started having them on my toast too!! So good to know my little girl is getting all this goodness in such a fun way!! My son is hard to get good food into a lot of the time. These are great because I can sprinkle them into the spreads in his sandwiches or on toast. I also add them into my smoothies. Love this product, especially now it’s ground even finer for fussy kids. The purple colour makes it even more appealing to kids. Mine apply it several times to every type of meal. So far so good…. super dipper picky Miss 8 has not detected the sprinkles in smoothies, sauces, oats even on her pizza. Makes me feel better knowing some extra goodies are getting into her. Magic Sprinkes are delicious! Not only does my daughter love it sprinkled on her yogurt but I love it sprinkled on fresh strawberries! Not just for kids! Feels good knowing that even with my fussy child, I can sprinkle some of these onto his food and I know he’s getting some goodness in. So far we all love them. Love love this product. Great way to sneak some super healthy son into my sons diet. I like it as well so that is a bonus! I bought these sprinkles for the first time and my kids love them on everything !! Porridge and cereal are the favorites ! I had a problem with a faulty lid unfortunately , but the customer service were amazing and so quick to resolve the problem!! Will definitely be purchasing again !!! The magic sprinkles taste delicious. My husband and I have been having them on yoghurt. I love that I’m adding a burst of nutrient density. We’re really enjoying them. Magic Sprinkles are exactly that MAGIC. I have a toddler that pretty refuses everything she should eat but first try of magic sprinkles she loved them!! The whole family are obsessed now and they get added to everything. Thank you for this amazing product!! We’ve been using magic sprinkles for 1 week now to support immune system and help clear an eczema outbreak. LO loves sprinkling them on his food (copying his dad using a pepper shaker). We’re loving their taste as well. My kids love the ritual of adding these to their cereal or sprinkling on top of smoothies. I love the thought of squeezing in just a little more goodness. The kids love adding magic sprinkles to their food, and I love knowing that they are getting extra nutrients. Thanks for a yummy fun product! My 5 year old son has ASD and my almost 3 year old son has suspected ASD and both have severe food aversions, the eldest worse. Their diets are so restricted and they don’t consume any good, healthy food. I make them Betty Crocker’s Rainbow chip cookies with M&M’s, minus the M&M’s and put Jurassic sprinkles on top. I have cooked a couple of batches with small amounts of Magic Sprinkles in the cookie mix and I’m stoked to say they haven’t noticed and loved them. Total win!! Finally able to get something healthy into the boys even if it’s only a tiny amount. Thank you so much! This product is amazing! My son loves adding sprinkles to food and now wants to put them on everything he eats and I know it’s great for him! A complete win! Just ordered more! My little boy has become a tad fussy of late (this too shall pass, right?! ), so I am LOVING the magic sprinkles, and so is he! He has them on his breakfast every morning and I love knowing he’s getting the nutrition he needs in the best possible way. THANK YOU! its delicious we love it! My very fussy 3 yr old really enjoys adding magic sprinkles to all her food – sweet and savoury. It’s delicous, it tastes like berry coconut bliss ball powder. Thank you for this genius product. So much goodness packed in one beautiful jar. Where else would you go to find all the organic ingredients that Magic Sprinkles has. The team at 123 Nourish Me has done the hard work for us. My two toddler boys love the magic sprinkles. Our boy is the most fussy eater we have ever encountered! He is autistic, has his own set rules when it comes to his food, never tries new things and lives on the same foods daily. I can’t wait for him to get the benefits of this awesome product, he has lacked iron and vitamin D even tho he is an outdoors child, this product should be beneficial for his health. Loving the newly formulated Magic Sprinkles!! The kids insist they are liberally sprinkled on brekky EVERY day!! Given that one of my kids is very fussy with food, this is such a relief. First time ordering, already so pleased! And came in such cute packaging, and wrapped up so nice! Fantastic customer service from 123 Nourish me! Prompt, friendly and informative response when i contacted about products. And so far loving the Magic Sprinkles for my 18 month old son. I now know that even if he’s not eating much- it’s nutritional! This product is a game changer in our house. My 3yo is autistic and just doesnt eat. Its a daily struggle and as a mum breaks my heart. I let her dip her fingers in the magic spkinkles and said its her to put in her food and has magic powers to help the food not be painful. She adds it to her meals herself now and her eating has improved. I cant thank you enough for the joy i feel when i see her eat a meal with her fav sprinkles on top. It now has a permanent spot on our dinner table. First of all I found my previous parcel at a totally different Australia Post Shop than what the tracking told us. Due to fault of Australia Post not your side. Sigh. Anyways, Master4 is absolutely in love with his Magic Sprinkles and just in the last couple of days he has come down with a build up of phlegm on his chest so we are applying the chesty balm! Omg the Chesty Balm smells DEVINE!!! My Master 4 has texture issues when trying and eating new foods. Your magic sprinkles have not raised one issue at all, and have even made it to the Kindy lunch box. This is amazing and never happens! We are so so so happy with the products, I can’t explain to you.. I have just placed my second order including the new body wash! Can’t wait!! Building a stronger body has never been easier! My little one loves it sprinkled on avodcado toast! Thank you for a delicious and nutritious addition, making breakfast a power packed start to our day. Absolutely love this stuff..highly recommend it. 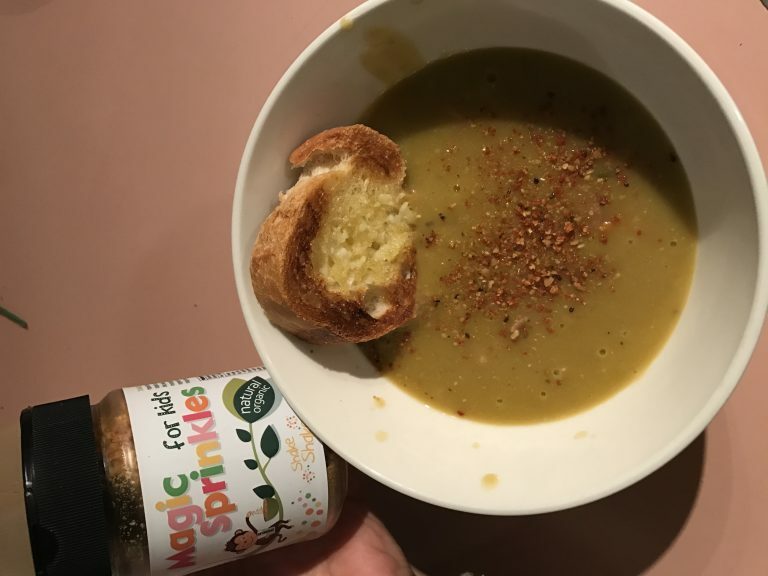 My 2 kids are crazy fussy and knowing I have this on hand makes me happy knowing they will get so much goodness..
10 out of 5 rating from me..
We’re loving the Magic Sprinkles, so far it’s been sprinkled among Nachos, Pea & Ham Soup, Smoothies & Homemade Chicken Nuggets. I love that the flavour can go with savoury or sweet food/drinks. What an absolutely wonderful product! 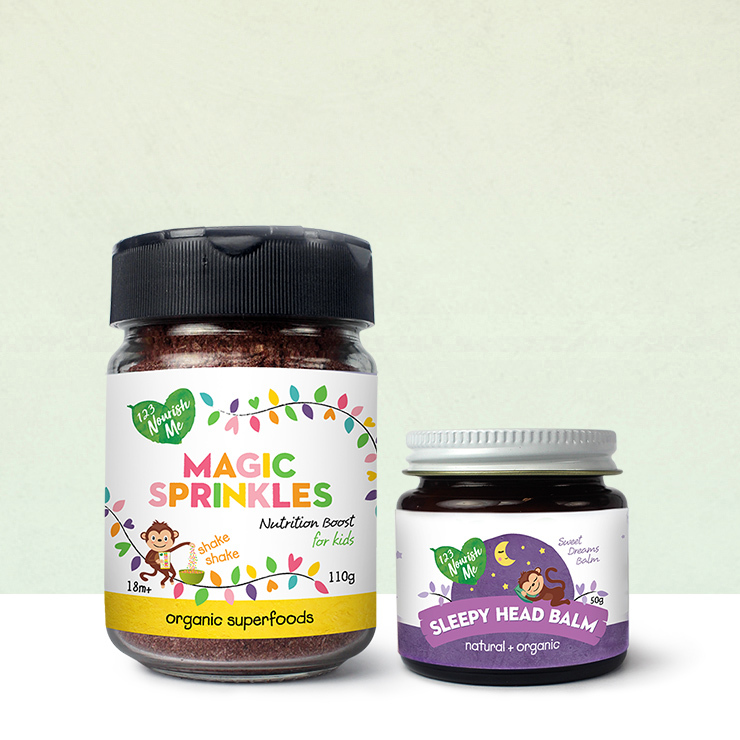 Our family has been sprinkling your Nourish Me Magic Seed Mix recipe in all our baking, smoothies and breakfast, but these Magic Sprinkles are a step above. Magic Sprinkles are fantastic! The name and packaging are fabulous, as my two kids scream out for who can have the Magic Sprinkles first! Thank you for making this nutritional powerhouse so much fun! 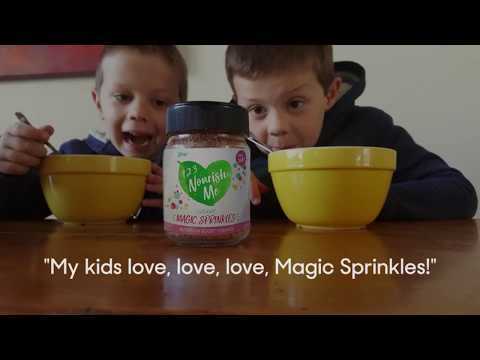 Its been a couple weeks since my 3 kids have started using Magic Sprinkles and we are all addicted to the yummy smell it has! It somehow smells like chocolate…. and not just for kids, this stuff is uh-mazing on moccas or yoghurt for breakfast! Kids are happy for me to put the Magic Sprinkles on their breakfast every morning. Will be mixing it through their dinners too. We have sprinkles on our porridge, it’s nice to know my daughter is getting all the good stuff she needs. I think it may have helped with her sleep also. The parcel in the post was so beautifully wrapped too, it was like it was my birthday! Adding the lip gloss in was a little gift to myself! Thanks Alisa! I am loving this product. I add it to all my cooking–savory hot dishes, muffins, biscuits and cakes. It’s great knowing my kids are getting added nutrients in their meals & snacks. Thank you! Magic sprinkles are just that!! working there magic without anyone knowing! We as a family all use them and the children know then can put as little or as much as they like. We use them a few times a day even, perfect idea for making healthy fun! Both of my boys love their magic sprinkles! They love being able to shake it on their food themselves and I love that it’s giving them extra nutrition. It’s a win-win! My daughter loves her magic sprinkles! We add them to porridge in the mornings and our smoothies. Big thumbs up from this family! I love adding these sprinkles to my children’s meals as I know they are getting an added nutritional boost at each meal time. I feel comfort in the knowledge that the beautiful ingredients offer a superior product to the many synthetic Vitamins readily available. My kids also look forward to adding these sprinkles themselves to pretty much all of their dishes. Win! Win! Love these sprinkles. Easy to add to anything. Kids love that they have the name “sprinkles”, makes them think they have a treat instead of something that’s so good for them! The jar is gone quite quickly!! Love our magic sprinkles! Biggest decision for the kiddies at meal times now is whether to shake them out of the big holes or the little holes! Who’d have thought they’d bring so much joy! My kids love having something of their own to add to their meals 🙂 I also added to our smoothies, baked snacks and chocolate protein balls…pretty much anything I made for them. Time to order another one! One very impressed little girl in this house that she can put “sprinkles” on everything! ! Great tasting and easy! We love love love magic sprinkles! I add them to muffins, cupcakes, smoothies, pancakes. The list is endless. Love the Magic “Monkey”Sprinkles. The whole family gets them on their meals. All the goodness of whats inside and conveniently packaged and easy to use. These “fairy crumbs” “fairy sprinkles” are a huge hit in our house! It pretty much gets sprinkles on everything we eat. I also add it to all our meals in the cooking stage so we all get the benefits. Absolutely love them!!! Thanks for such an amazing product. This is beautiful! Thank you so much Shannon! I love the healthy content in this REAL magic sprinkle! It’s a good way to get my kids excited about their food as well as adding more nutrients to it. No nastie stuff. It’s their magical moment when they sprinkle in their food…. we talk about the ‘powers’ of this sprinkle….. and have a laugh. Eating now is even more fun!! !